There have been rapid changes and improvements in all fields of engineering over the last few years, leading to the advent of advanced technologies. For instance, it is difficult to answer when someone asks you ‘Robotics is an application of which engineering?’ Electronics? Electrical? Mechanical? Computer Science? It is an application of all of these. With the recent technological advancements, the number of devices that operate with the principles of only one traditional engineering discipline is very small. A basic understanding of mechanics, electrical & electronics, hydraulics, computer technologies etc. are necessary for all engineers to perform well in their careers. Hence it is very important today for a student or professional to develop skills in multidisciplinary areas. Mechatronics is one such multi-disciplinary field having its applications ranging from industrial robotic arms to computerized surgical instruments. This emerging engineering field has penetrated into almost all the product industries. Most of the interdisciplinary areas like Mechatronics requires students to be very good in practical application. Students should be able to use concepts from Mechanical, Electronics, Electrical and Computer Science and develop products in a hands-on manner. Therefore, it is very important to do projects in mechatronics which will give students a good understanding in developing skills needed in the industry. Joining hands-on winter training programs on mechatronics is a very good option for you to learn and develop technical skills on mechatronics by utilizing your winter vacation productively. What is covered in Skyfi Labs Mechatronics Winter Training Program? In this program, students develop 2 projects – Animatronics Hand and Robotic Arm. These two courses involve students to get introduced to Mechatronics and you will learn and implement various sensors, motors, microcontrollers and programming techniques used in this domain. Animatronics is the imitation of life achieved via electronic devices. It is possible to use various actuators to make machines move like humans/ animals. It is also possible to control these movements using various sensors. 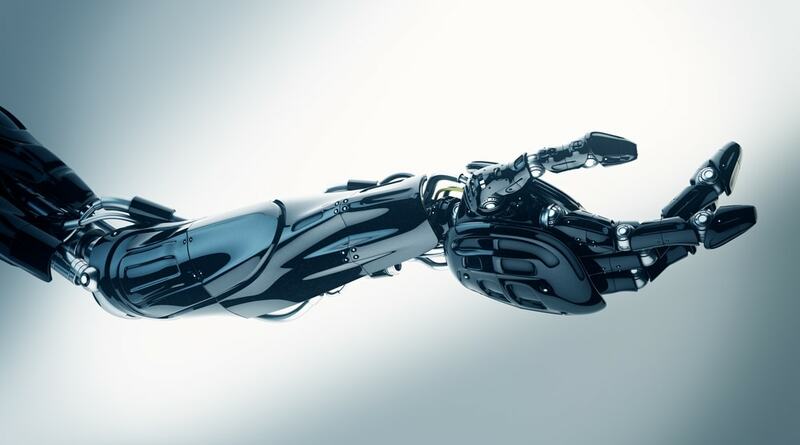 A very good example is to develop an artificial hand which can be controlled through brain signals. Since Animatronics is a multidisciplinary field, you should also know about the electronics, programming, mechanics, sensors calibration etc. Learning all these technologies will be easy when you start building projects on real life applications. In this Animatronics hand project, you will learn to build an animatronic hand that can mimic user’s actions. You will use flux sensors, servo motors and Arduino Uno to complete the project. You will build a Robotic Arm which can lift objects and place them in various places as needed. The robotic arm project that you build will be gesture controlled and is a very good example of human-machine interaction technology. You will use ADXL sensor along with the servo motors & Arduino Uno to build the project. Why is this the Best Mechatronics Winter Training Program? The program is developed by experts to help you get introduced to Mechatronics. Some very important topics in Mechatronics have been covered in the course. The course includes the use of some of the most commonly used sensors and actuators that will help you in the future. Most of the course is designed to be hands-on and give you a very practical approach to Mechatronics. The course will be delivered by experts who will help you develop the right skills needed to excel in this domain. You will also get access to online courses which will help you revise the content in the future. You will also get a certificate upon completion of the course and distinction if you perform well in the course. If you are curious to know about the mechatronics technology, then this winter training program is the right choice for you.